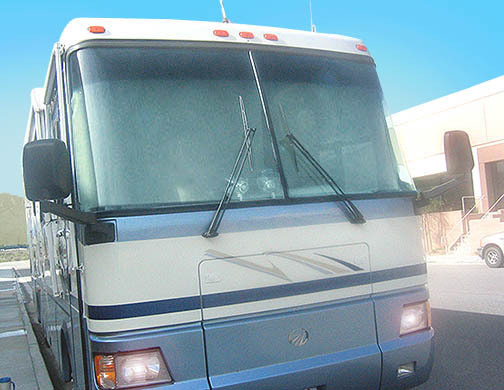 The newest product from the Sunguard family of RV shade products is EZ RV SHADES! Sunguard premium outside mounted windshield covers! © Copyright 2001-2009 - All Rights Reserved - Sunguard Shade Products, Inc.
EZ RV Shades is a trademark of Sunguard Shade Products, Inc. Copyright © 2005-2009 by Sunguard Shade Products - All rights reserved.